This newsletter was sent to Sterling Insurance Group clients and friends on Thursday, Jan. 10th, 2018. Want to get this bi-weekly newsletter in your inbox? Email jgiffels@sterlingagency.com today to be added to our mail list. It was a fantastic, informative event. Huge thank you to Paul Richards from Amerisure Insurance for presenting information in a thoughtful way, and for addressing several audience questions. Want to view the presentation? Check out the recording on Sterling Insurance Group’s blog post, which includes the full video of the presentation. Stay tuned for more events like this in the future! Calling all CEOs: Sterling Insurance Group is proud to partner with the Troy Chamber of Commerce in 2019 for its CEO Series. The first event in Jan. 25th, and will feature the CEO of Eastern Market. Learn more about this great event, or sign up now. Latest on the Sterling Insurance Group blog: Active Shooter in the Workplace. Do you know what to do if the unthinkable happens at work? Read on to find out or brush up on your knowledge. So long 2018! We hope everyone had safe and relaxing holidays. 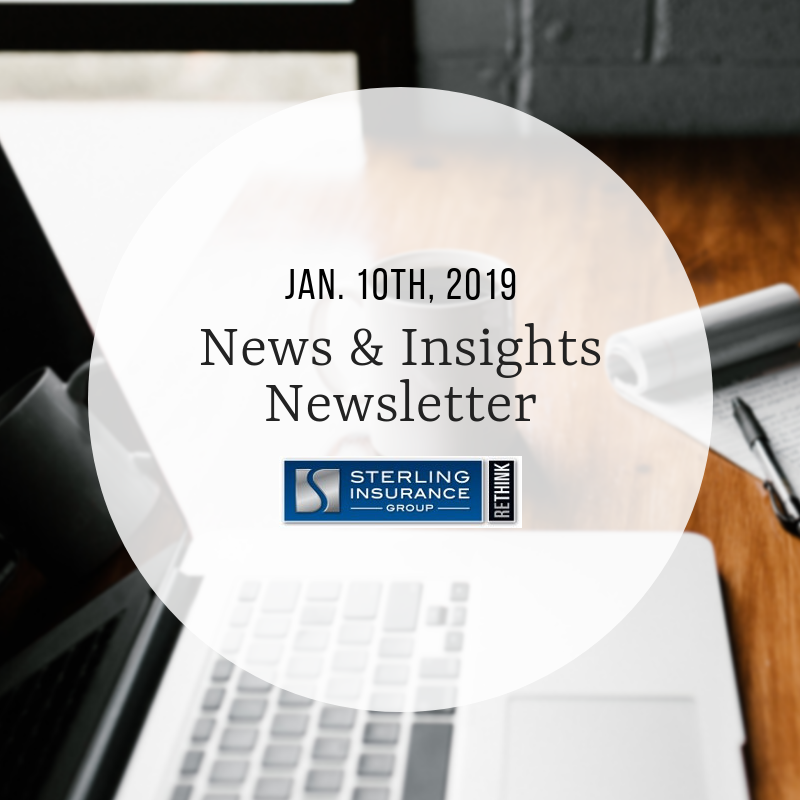 Check out our blog to relive some of the highlights for Sterling that made 2018 so great. We’re looking forward to 2019 together! Check out photos from the 2018 Annual Sterling Christmas Party, held in Sterling Heights. Fun was had by all! Welcome home! Sterling Insurance Group Employees helped make a banner used in an employee’s son’s homecoming recently – who is a currently serving in the military. Way to go, team! Why we do what we do: Read a heartfelt note given to one of Sterling’s longtime account managers – Krin – from a client. Want to leave a review for Sterling? Review us now. In the community: Sterling was proud to be featured in DBusiness Magazine recently. View our ad now. Per tradition, Sterling adopted a family this past Christmas. We were proud to shop for the family based on their needs, and enjoyed wrapping gifts as a team. Check out photos now. Nothing is better than giving back around the holidays!